GB Autosport team principal Michael Avenatti has vowed to return to the 24 Hours of Le Mans after making a memorable debut in the French endurance classic last weekend. Avenatti, who teamed with Kuba Giermaziak and Abdulaziz Al Faisal in the No. 66 JMW Motorsport Ferrari F458 Italia, overcame adversity to record a 7th place finish in the competitive GTE-Am class. “The three of us really bonded throughout the week,” Avenatti told Sportscar365. “That showed during the race. We ran a very clean race and made very few, if any mistakes on the track. The two biggest setbacks came in the pits, including a flash fire overnight during a refueling stop, which sent a crew member to the hospital. “That unfortunately resulted in our fueler suffering some pretty severe burns to his face,” Avenatti said. “Our thoughts and prayers are with him in his healing process, which is going to be lengthy. “The biggest issue that set us back [time-wise in the race], quite honestly, was that we had a left-front shock fail during the race and had to be replaced. That took a significant amount of time, upwards of 20 minutes. “But for that failure, I think we certainly would have been in the top-four. We had fewer pit stops than any other competitor that finished the race in our category. Despite the slightly disappointing result, Avenatti still had many positives to take away from the race, primarily the overall experience of the event. “So often in life you hear people talk about how big a particular event is,” he said. “You listen to the hype around an event and you get there and it’s a letdown because your expectations have been raised so high. “But I can say without a doubt, the opposite was true as it related to Le Mans. It lived up to the expectation level and then some. “It’s truly the greatest event in the world and is unlike any other event I’ve been to as a race driver or a spectator. In addition to returning to Le Mans next year, pending an entry from the ACO, Avenatti is continuing to explore further races in the FIA World Endurance Championship, including a potential full-season program in 2016. 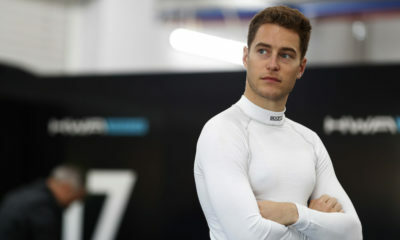 It would be in addition to a return to the TUDOR United SportsCar Championship in the GT Daytona class with his GB Autosport team, although the exact schedule has yet to be determined. Either way, having the experience from Le Mans this year will come as a significant boost heading into 2016. “Coming back for a return visit, I think we’ll get up to speed much quicker,” Avenatti said. “We’ll know what the pace of the event is and we’ll be able to manage ourselves and the car that much better. “The one thing that I think is incredibly important about Le Mans is that track time is at a premium. It’s a very unique place and the more track time you have there, the better, the quicker and the more comfortable you are in the car. Avenatti expects GB Autosport to contest two additional TUDOR Championship races this year with its Porsche 911 GT America, with further news to follow on the effort in the coming weeks.